Last year about this time we were paging through the saucy Harvard Design Magazine issue on pleasure and we came across an article by Dr. Kongjian Yu titled "Big Beautiful Feet". 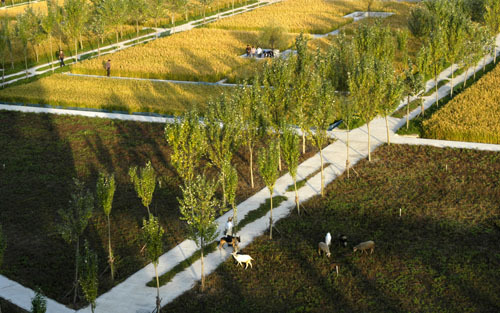 He is the principal of the Chinese landscape architecture firm Turenscape, an incredibly prolific group that has gained wide recognition for design excellence in the last decade. To be properly understood, the work of Turenscape must be contextualized as part of the rapid and ongoing urbanization of China, and situated within the contemporary China-United States cultural/capital exchange. Unfortunately, we are not capable or qualified to do that properly. Fortunately, their work is rich enough to offer many veins for mining and given our concern with landscapes of labor, fun, and hedonism and our interest in the development of a new landscape aesthetic through an expanded understanding of recreation, we were thrilled to have the chance to speak with him in person. We discussed the effort and strategy behind creating the first modern Chinese landscape architecture firm, the idea of labor as related to the “Big, Beautiful Feet” aesthetic, and understanding the practice of landscape architecture as a cultural-environmental framework. FASLANYC: The name of your firm, what does it mean? 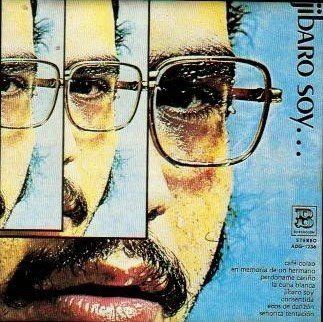 FN: Almost like redneck, or country boy, or jibaro? YK: Yes, that's interesting. I like it like that. I chose the name based on my perspective of the profession during the course of my life. In 1997 after two years at SWA, i decided to go back to China. The reason i wanted to go back was the massive change happening in China. I saw all the rivers being channelized, the cultural heritage disappearing, the landscape being dominated by urban sprawl. This was in 1996 when I was visiting in China. When i came back to the States i decided I needed to move to China to get involved and push for things to be done in what I considered the “right way”. And I chose the name because i think we will eventually return to the earth, for living and survival. FN: Prior to your return to China did the profession of landscape architecture have a role in the lands development that was going on or did you have to try and create it? YK: I would say we have a long history of garden-making in a traditional sense. Landscape architecture just a decade ago basically meant garden-making. The large-scale urbanization in China is really very recent. When I returned virtually nobody was dealing with this type of land-people relationship. 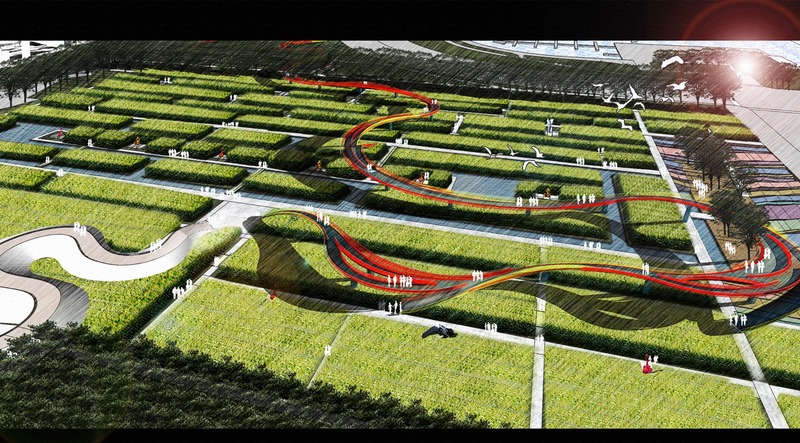 So the name Turenscape was chosen as a means of differentiating landscape architecture from garden making. In my first years the [National] Commerce Department refused to allow me to register my company. The reason is that landscape architecture is not an official profession there, and when you register they classify you according to which profession you fit into. So they told me when i tried to register that there is only something called garden-making, there is nothing called landscape architecture. That was part of the reason I wanted to return- I felt I had something to offer. Another reason that it was difficult for me to register the company was because I wanted to call it “Turenscape”. YK: Yes, so they refused it a couple of times. Eventually i convinced officials there that this was a new profession. FN: What was that process like in China a decade ago? YK: First I had to show them examples from different places. At that time the central government started up a venture that was a special place for young Chinese professionals coming back from overseas. In some ways it was kind of like a Silicon Valley. 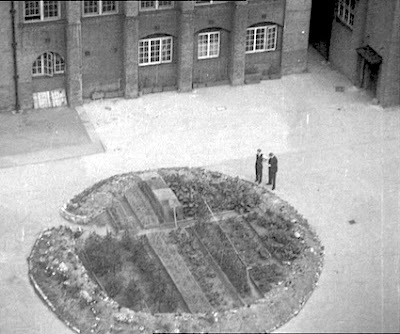 It was an experimental science park, a testing place. You got a free space- an office- for you to hatch ideas, test new policy. It was a pilot campus, and they were trying to attract people like me who wanted to try something new and influence the new urbanization policies. In some ways it was a really groundbreaking program. And it proved to be very successful for many companies. Leaders in that organization helped convince the commerce department to register my company. 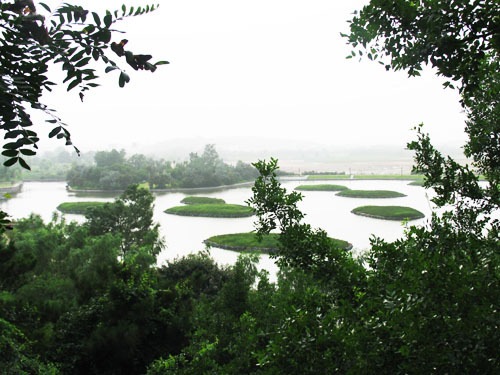 That was how Turenscape became the first Chinese landscape architecture firm in China. FN: Your landscape project at the Architectural University in Shenyang strikes me as an interesting combination of education and work through landscape processes that permeate the students’ lives. A big part of the program is the planting and harvesting of rice by the students who use the campus. From what I understand, it's not so much that the students are working there every day in the fields, but rather more of a ceremonial thing, where a couple of times a year they all come together. I wanted to know how that process has changed through time and how that might continue in the future. I ask that because you are involving the users- they do more than just walk through it or stop to admire it. Rather, they have a role in the production of the space. And I suspect that it might stimulate their own ideas. Or resentment. YK: Well, the president of the campus is very enthusiastic about the project and the yearly planting and harvesting festival, and the students have started doing some of the work- weeding and irrigation- on a regular basis. Rice is also pretty easy to take care of. It is very intensive to plant, but it's not such heavy labor once established. My original thinking was to recognize that landscape is both a process and a picture. 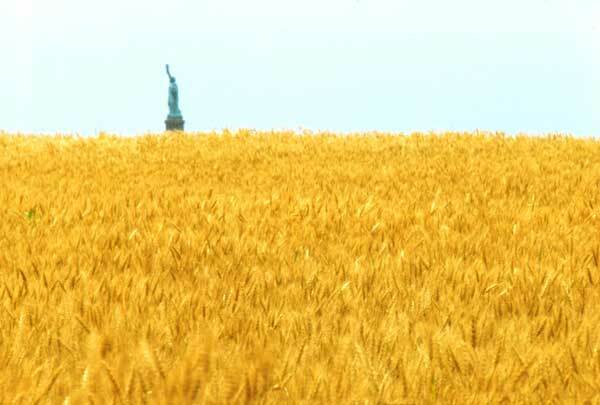 But more important is the process, the time, the cycles, the harvesting, the planting, the whole process is the landscape. It's about the experience and when this process becomes a routine, this cycle becomes part of the campus culture. Maybe here in the United States the colleges have the annual football homecoming game, and it becomes the identity of the school. In a culture of landscape-process, the landscape becomes a protagonist in the story, it takes on identity; it is a cycle for people to connect to the weather, the passage of time, the change in seasons. FN: It sounds like you're unconcerned with details, that you are more interested in the dialectic between these cyclical environmental processes and the local culture- it’s customs, conceptions, rituals. YK: Perhaps. What we’ve provided here is a minimal design, a framework; the field walls are concrete. There is nothing to change. On one level, you just plant rice. There's no reason to get rid of the paths, to cut the trees. And the rest of the time you just follow the seasons. All of my projects are minimal designs. You might compare it aesthetically to the modernists’ design, but it's different, because in my case the landscape is productive- I don't want to maintain processes in stasis. FN: That term- productive landscape- seems loaded with potential and conflict, because there are different types of ecological productivity. I would divide it two ways- environmental productivity and social productivity. At the architectural campus you have a situation that is intensely productive in both ways- a particular type of architectural scholarship is concentrated there, and the large scale environmental processes are also significant. I wanted to ask, what are other examples of designed landscapes that combine the two? The one that jumps to mind is a farm. YK: Well, certainly, yes, but a farm could also be environmentally detrimental- a landscape of extraction- as opposed to productive. May be if it’s an organic farm of some kind. FN: That’s interesting- industrial farms as landscapes of extraction, much like a mine. Materials and energy are imported to enable the extraction of geologic material. 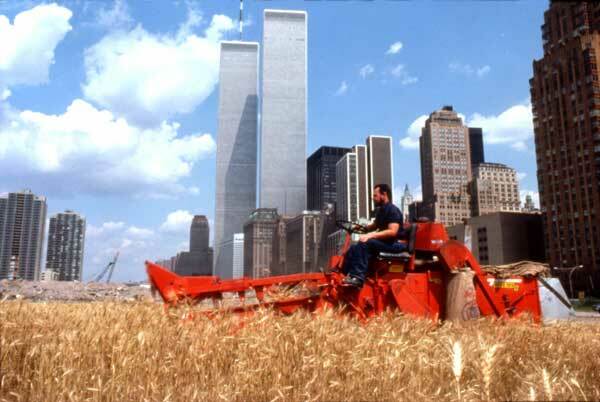 YK: Yes, many farms are like this. Another distinction I think we should be clear about is ornamental gardens and productive landscapes. Ornamental landscapes consume. FN: And parks? Are they ecologically productive? YK: Contemporary parks? No, maybe community gardens, but they are lacking a specific aesthetic, though they still produce something, including pleasure. I don't know, i don't think there are many landscapes at this scale that are socially and environmentally productive. FN: It seems to me that there are many good examples of leisure parks that are environmentally productive, at least to some degree; parks where you have a marsh, and walkway, and a field. These things provide habitat and stormwater detention. 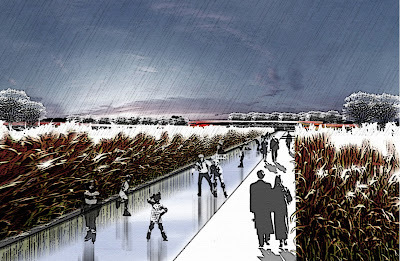 For me what separates the architectural campus is not productivity but the fact that leisure-work* of the users has been incorporated into the social and environmental program of the landscape. 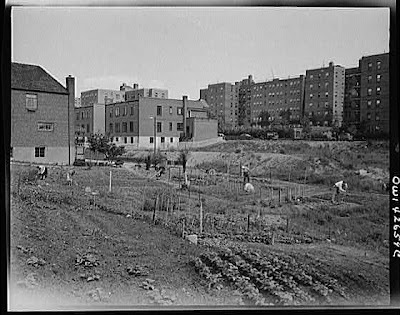 You almost never see that unless you are talking about a community garden. 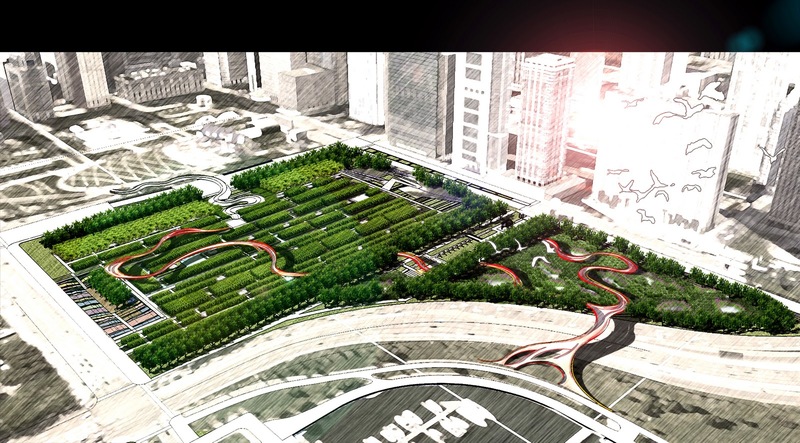 YK: Actually we proposed for Grant Park in Chicago a similar concept- it was shortlisted but not accepted. 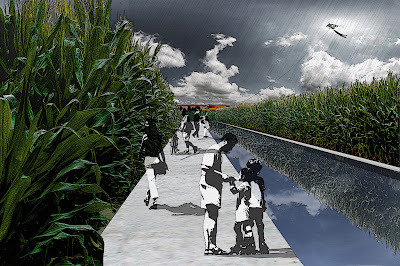 We proposed a cornfield right in the center of Chicago, irrigated with stormwater, very productive, involve the community, create an identity. But obviously they didn’t like it. Americans I think, academically, are very open and sophisticated. But when it comes to community-related or public issues related to voting, it seems the country can be quite conservative. Obama has a vegetable garden at the white house, that is a good sign to have a more aggressive productive landscape architecture, but can this innovative concept be operated at the public scale? I am not sure. Intellectually Americans value this individuality but with the public you very much value a democratic system. FN: Which has some drawbacks. YK: Yes, you become average; average-ized. But intellectually you are very advanced. This idea of productive landscape has been talked about a lot in the past 20 years, but not much real happens. Why? I think it is because of this system you have for making and implementing decisions. FN: One of the reasons i was interested in how you started your company was because I agree, I think our theories are sophisticated and advanced, but our models and methods for implementing theory are very conservative and very far behind. When we go to build a public park, it is still using the same funding and political concepts and mechanisms that built parks 25 years ago [or 150 years ago], therefore it is difficult to implement anything other than the theories that were acceptable 25 years ago. YK: I have one small project in Boston, Rose Fitzgerald Kennedy Greenway. It took four years. It's a very small project. In china we would build it in 6 months. The architectural campus was built in 3 months. That's a difference. Could be good, could be bad. If you have a bad design, then you are building a lot of bad stuff fast; it could be terrible. And the majority of them are terrible. FN: Ha-ha! Yes, in some ways slow is good. YK: Yes, slow is good, and you get an average- not so bad not so good, and maybe you slowly advance. But I think right now China, because it is so important to have something built immediately and sustainably, you need this kind of quickly implementable system to make something happen. The challenge is how can we have more people doing more good design? Instead of just a few people doing a few good designs. FN: This is the problem of our profession. We, like most, tend to be somewhat parochial and paranoid. There have been a lot of new parks in New York City at the water’s edge in the last generation. How do those projects compare to this new aesthetic that you advocate for, the big foot aesthetic? YK: I think these projects, and project in general in the US are well done; a very good design, very detailed, well crafted. If you do a similar project in China you will never get it done. The reason is we are not so patient to spend so much time with the detail, and we don't have the craftsmanship yet to build this kind of design, like these modern designs here in the US. In China it's impossible. You don’t have this kind of skill set yet. So my approach is totally different. I will let natural process do the work, minimize human intervention. My approach- the Big Foot Aesthetic- it's not environmentalist. In the US you have a very long history of environmentalism. But as you said, most of the time environmentalism means leave it alone, no people; but without art, our profession becomes invisible. My approach is that we need art, a minimum design to make ecologies visible. Like the Red Ribbon Park; we let nature do its work and leave it as messy as possible. And then we insert a very delicate intervention. It's like a red tie for a suit; it makes everything nice- pulls the whole thing together. This approach is an adaptation to the situation in China. The land itself provides a service, instead of consuming services. FN: it sounds resourceful. You use labor, design to the level of craft, take advantage of the ecology, purposing it as an opportunity. YK: A shiny, well-maintained park; you have to mow it, fertilize it, and irrigate it. The landscape can provide services, it can produce energy instead of consume it. The landscape should absorb rainwater instead of draining to pipes. I would say that here you have a very good tradition of modernism- detailed design, sharp materials, shiny surfaces. At the same time you have a strong environmental movement- biodiversity, etc. I take the middle pass- minimum design, but artful. FN: This idea of labor is something that interests me as well. You are advocating for an aesthetic which is resourceful and enables people to do work. I'm wondering if that argument for allowing people to work, especially in public spaces, could that have something to do with social class and status? YK: That is exactly it. There is a long tradition in both the west and the east where class is defined based on whether or not you labor at something. If you are working class you are low. If you have small feet, long nails, light skin, it means you don't have to do labor, so you have much higher status. And this holds in many cultures. Yet labor is normal; people become human because they labor, because they work. It is what defines us, it is a biological situation. When the elites wanted to set themselves apart they looked for ways to become abnormal. The clearest way to do that is to not labor. That is the reason that the elites would deform themselves, perhaps that is why supermodels are so skinny. 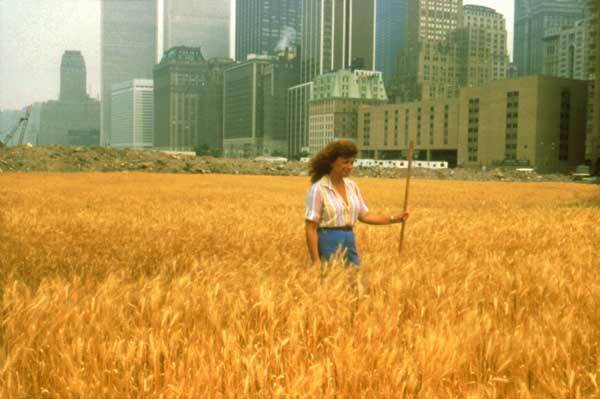 Now that was okay before massive urbanization. The minority can live on the surplus that labor is making. But when you look at history, usually the high class disappears. The elites lose productivity, fertility, health. The last Emperor of China could not bear children. It is sacrificed for status. Now this value, this vestige of elite culture, has spread throughout the environment- everything from buildings, to landscape, to pets. We must reverse this value system. FN: You make the assertion that people will go back to the land, to these other values and aesthetics, for survival. But why is it changing now? Why is your argument relevant now? YK: Because of the massive urbanization and our shrinking resources. If an ornamental garden requires many resources but there is only one of them that's fine, but if the whole city is an ornamental garden then we cannot afford it. FN: Because of the ecological imperative? YK: That's right. If 10% of the people or places are unproductive, that might be fine. If 90% of the landscapes are unproductive, that's not fine. The human being will march toward death, like the last emperor of the last Chinese dynasty. FN: One thing that caught my ear earlier is how the days of planting and harvesting are becoming tradition, a part of the culture for the students at the Architectural campus. As this has been occurring over the last 8 years I’m thinking that they like it, they enjoy it- it's meaningful. It seems that although there is an ecological imperative perhaps another attraction is the pleasure of working. An architectural education, for instance, is often very abstract; very rarely do we get to do some work with our hands. Perhaps they like it because it involves pleasure, and novelty. YK: That's right; the work is helping them become people. It’s very Marxist. Marxism holds that people will eventually enjoy doing work, enjoy being healthy. We will switch these values- if you drive a Mercedes you are low class. If you ride a bicycle, that is high class. Everyone will value labor. That's the revolution. FN: Well, that's provocative. And optimistic. The kids at the architectural school, they enjoy the work, but maybe they enjoy it because they're not a farmer; they don't have to do it. It's a tradition, they're doing it with their friends, but it's not like if they don't do it they don't eat. It is leisure-work: recreation. YK: That's true. Here, labor is aesthetic. It is more than survival, it is beyond survival. It is a new culture. *leisure-work we define as a form of recreation- meant to recreate the body and soul- as opposed to production. While leisure-work may have some productive value (just as production-work may have some recreative value) and they may take similar forms, their motivations are ontologically different. Conscientizacao as used by Brazilian educator Paulo Freire, the influential theorist of "critical pedagogy". The term refers to "learning to perceive social, political, and economic contradictions, and to take action against the oppressive elements of reality. Our current working-definition for conscientizacao of the landscape is understanding landscape/architecture as educational project. Great interview, i have loved the work of Turenscape since I came across a few years back. In the discussion of the Architectural University in Shenyang project and later on I think an important point was made. Especially within the context of discussions re: myth and landscape making. It seems to me that this gets at way in which labor/ritual is perhaps the best way of mythologizing a landscape. In the sense of building up it's cultural capital and creating a community around such a project. The downside is that as you all discussed this is hard to do within the context of traditional funding models. However, i think his point about labor is interesting within this context because combined with ritual (and outside of it's possible relation to myth-making) it points to a way to propose potential new models f development/funding. Or more importantly in discussion you, Mammoth and I have had re: maintainance, it suggests a model for long term maintainance that could tie in with the designers pre-occupancy, design of post-occupancy usage. i agree with you completely. the trouble becomes how do you ensure that a certain level of management/exploration will be maintained if it isn't done by professionals but by users in some capacity. of course, that assumes that it should be insured when you could certainly make the case that it should be an open process... convincing a client of that is difficult, but I would be it's possible with the right approach and the right client. Thanks for this interview, wonderful reading! 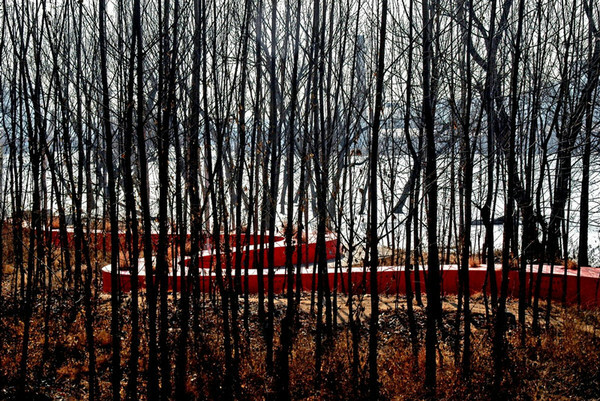 Until now, we knew so little about the work of Kongjian Yu. 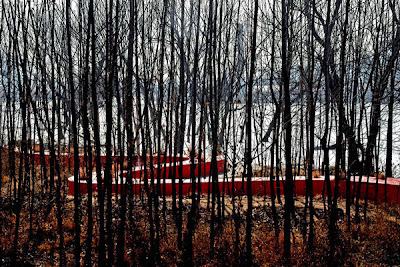 His idea on recognizing that landscape both as a process and as a picture is great. We also agree with your point on the conflict behind the term "productive landscape" and all the discussion generated. thanks for the comments; i have enjoyed and appreciated the work dpr-barcelona has been doing for a while! His thinking, his way of really teasing out and examining terms we toss around (like productive landscape) and working them out in real projects I also found fascinating and helpful. Of course, I also just like all the red in the projects.